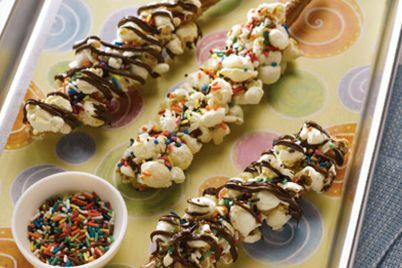 (Family Features) Simplify your summer entertaining routine with quick, easy-to-make dishes that feature fresh, scrumptious ingredients. Laid back and lovely, summer parties call for wonderful friends, flavorful foods and refreshing beverages. But having company over to enjoy the beautiful outdoor surroundings doesn’t mean you have to stress over time-consuming meals that can take all day to prepare. Luckily, there are yummy options available for every al fresco host. Make a warm weather gathering great by incorporating creative dishes that require the beloved summertime ritual of firing up the grill. 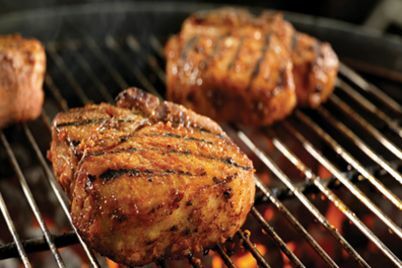 Simple grilled recipes, or those that require no cooking, allow you to cut down on the prep and clean up time. Your guests will love these recipes, which all feature Sabra Hummus, a better-for-you dip. Available in more than 10 flavors, Sabra allows you to customize to your guests’ favorite, flavorful preferences. Serve up those summer flavors all season long. Visit www.sabra.com for more recipes that please guests and save on time while entertaining. Add garlic, onion bell pepper and mushroom. Cook, stirring frequently, for about 8 minutes or until veggies are soft. Remove from heat and stir in spinach. Set aside. 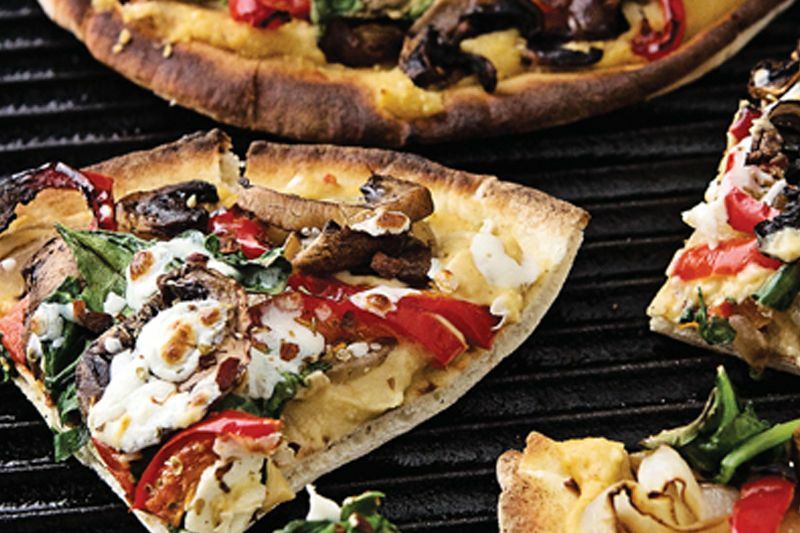 Place flatbread on grill or stovetop gas flame; grill for a couple of minutes or until lightly browned, turning once. Place all four flatbreads on baking sheet. To assemble flatbreads, evenly spread surface with hummus. Sprinkle parmesan cheese on top of hummus. Top with veggies then mozzarella cheese. Sprinkle with oregano and red pepper flakes. Place in oven and bake for about 5 minutes or until cheese is melted. Drizzle with balsamic vinegar. Place all ingredients for the salad in large bowl and toss gently to combine. Whisk all ingredients for dressing in small bowl. Pour half of dressing on top of salad and toss well to coat. Add more dressing as desired or serve extra on side.